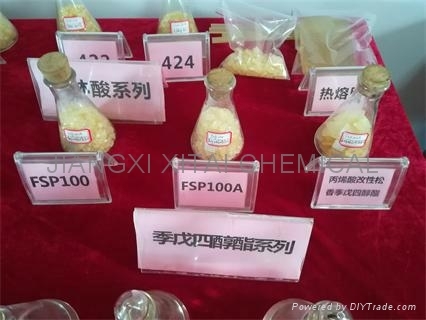 FSP series pentaerythritol ester is made by rosin or modified rosin through esterification, esters, stabilized and made of light color, low odor, strong stability of a series of tackifying resin. 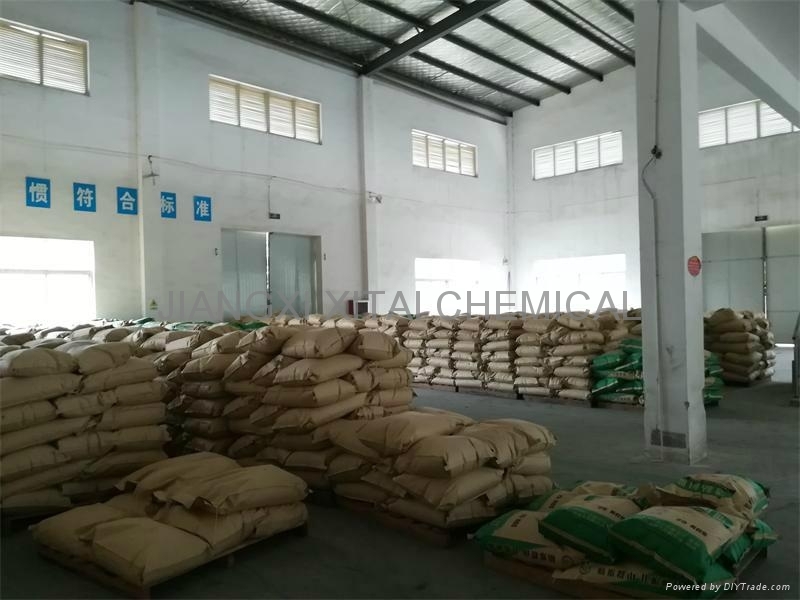 Application: Used in hot melt adhesive, pressure sensitive adhesive, film adhesive, plastic, such as adhesive glue stick, colloidal particles, such as sanitary napkin glue, adhesive, adhesive tape, glue, wood glue, etc. ; Can also be used for coating products. Product feature: Light color, low odor, good heat tolerance, can improve adhesion of hot melt pressure sensitive adhesive, and can mix with a variety of polymers such as EVA, EAA, NR, SBS, SIS , soluble in toluene, xylene, ethyl acetate, acetone, petroleum ether, vegetable oils, and other organic solvents. Safety attention: Waterproof, fireproof, away from flammable item and peroxides. Remarks: Can produce according to customer’s specific requirement or method.